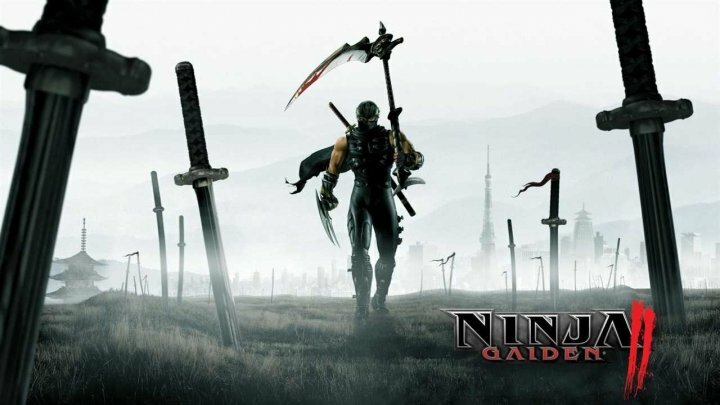 I have to say, being a fighting game fan tends to blind one to the fact that modern-day Capcom is on a hot streak: Monster Hunster is a bonafide juggernaut, the RE2 remake nobody dared dream about a decade ago is here, Devil May Cry is poised to make a triumphant return and even good ol' Mega Man managed to drag himself back into the realm of adequacy. 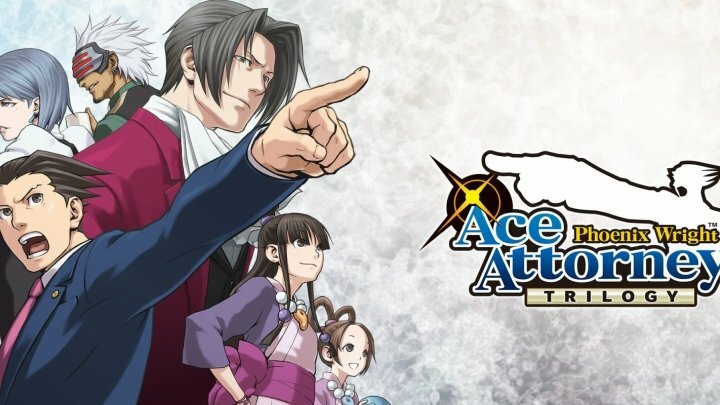 Tell ya what, Capcom, gimme Ghost Trick 2 and we're square. What's this? A fixed-screen jump-action game developed and published in arcades by Tekhan (later Tecmo, now Koei-Tecmo) way back in 1984 and subsequently ported to multiple platforms including the SG-1000, Game Boy and various European computers; players are tasked with guiding an incredibly floaty superhero on a mission to collect all the bombs scattered around each screen, with the optional challenge of collecting the bombs in a specific order indicated by a lit fuse for big bonuses. Why should I care? 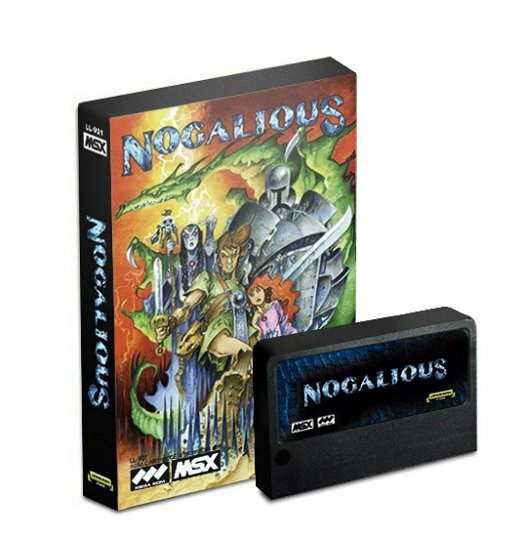 You've tried and failed to come to grips with the markedly more unfair and obtuse NES sequel and you want to try a version without all the opaque adventure game elements. 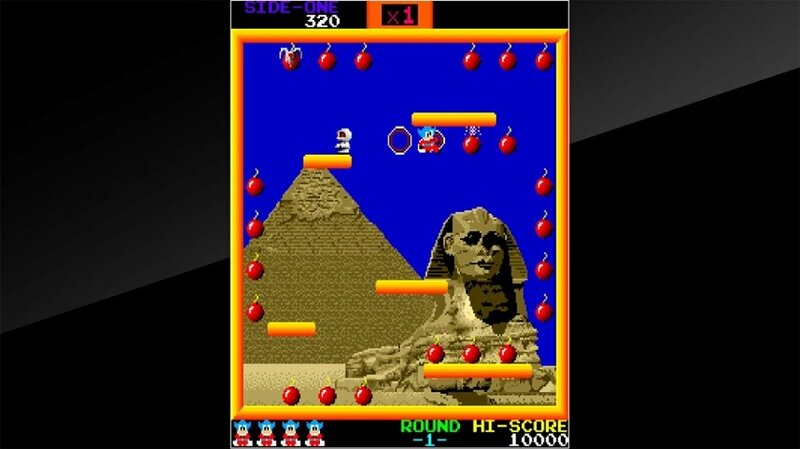 Useless fact: The original arcade release featured JASRAC-licensed renditions of commercial pop tunes, including The Beatles' "Lady Madonna", which had to be removed for subsequent ports; the Wii Virtual Console version was modified to include new arcade-compliant renditions of the original tunes from Mighty Bomb Jack, a change that has been maintained for the Arcade Archives release. Why should I care? 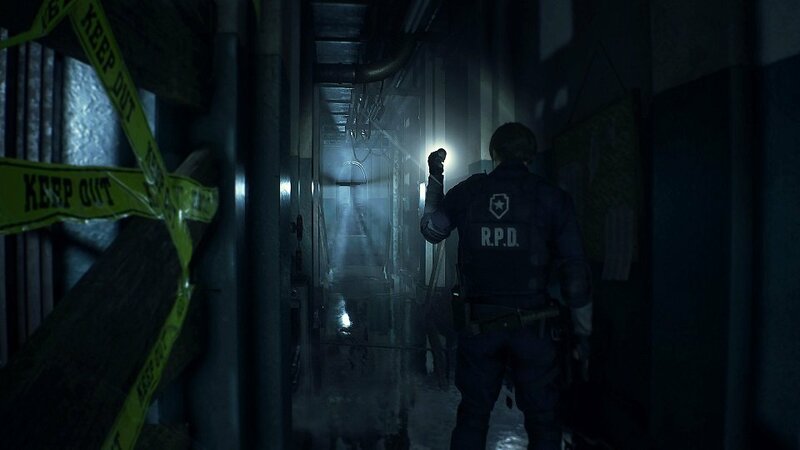 Blue Stinger notwithstanding, the original Resident Evil 2 stands as the pinnacle of the survival horror genre and all signs point towards the remake being a thoroughly authentic and nerve-racking revisiting of the original game that confidently disavows the series' decade-long flirtations with run-and-gun action. It's also, like, real purdy. 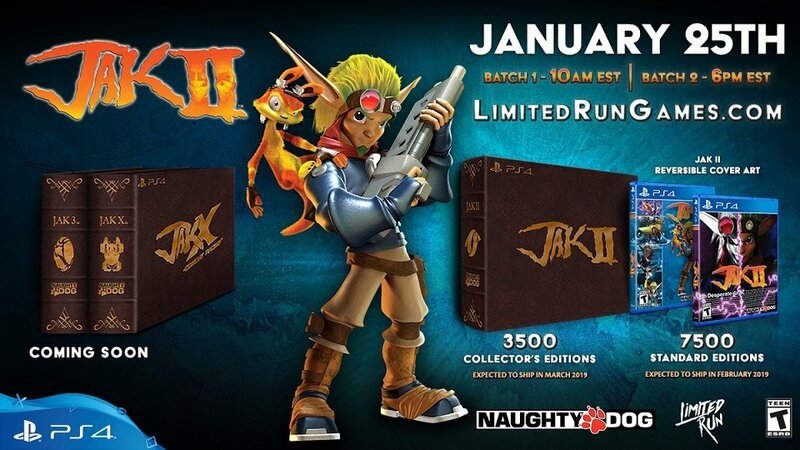 No, you didn't miss anything: this isn't an as-yet-unannounced remaster but merely a disc version of last year's PS2-on-PS4 reissue — a package that doesn't run especially well, or so I've heard — with a boatload of additional tchotchkes, as per Limited Run Games' usual procedure. Take special note of the collectors' edition which includes, among other items, a 120-page book of production art and a three-disc CD soundtrack; both versions will be available in roughly 24 hours from now and one can safely assume they'll sell out fast. 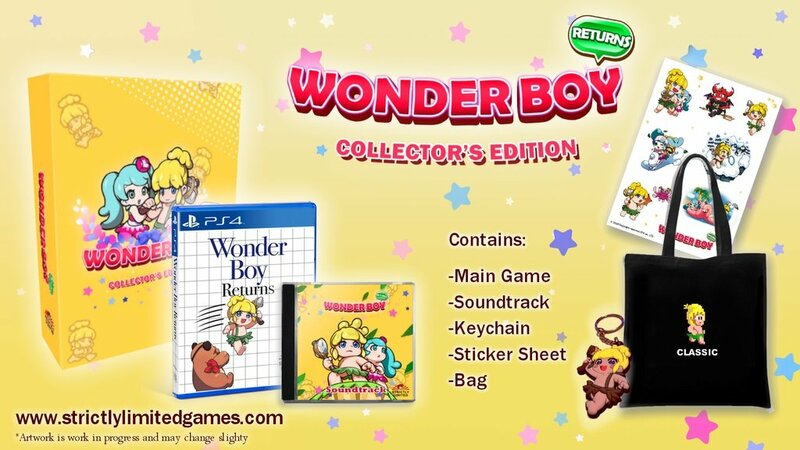 You'd be forgiven for forgetting about the existence of Wonder Boy Returns, a no-budget remake of the original arcade game that was rushed to market in order to piggyback off the unexpected hype for Lizardcube's remake of Wonder Boy: The Dragon's Trap, but Strictly Limited Games is back to remind you that it exists with a limited-edition disc run of the PS4 version which goes on sale this Sunday. 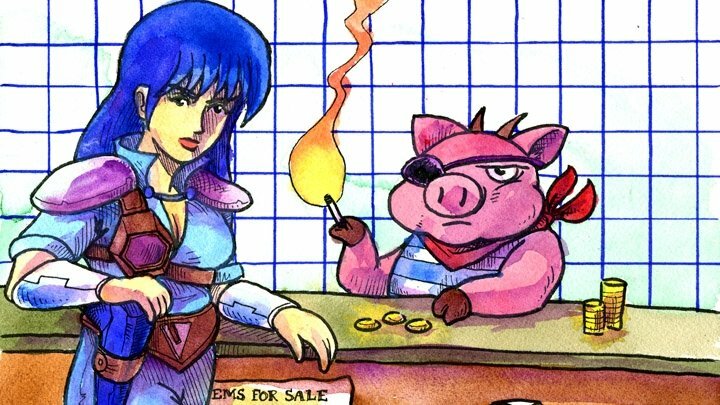 It's hard to recommend over any of the alternatives, not least of which being the Japan-only Arcade Archives version of the real deal, but it'll at least look nice next to The Dragon's Trap and Monster Boy and the Cursed Kingdom on your shelf, and really, isn't that what hyper-commoditized collectors' packages are all about?